The P.S.N.I. has issued what they describe as an "urgent high risk missing person" appear after a man in his late seventies left a Northern Ireland hospital on Tuesday afternoon. 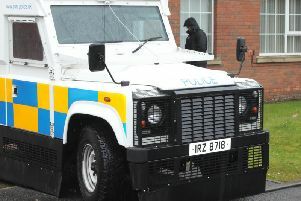 James Fleming, known locally as 'Alec', has not been seen since he left Craigavon Area Hospital earlier this afternoon. MISSING: James Fleming, known locally as 'Alec', left Craigavon Area Hospital earlier on Tuesday afternoon. "We have significant concerns for his well-being and safety," said the P.S.N.I. "Please share this photo: shops and garages in the area please make your staff aware, taxi/bus companies please circulate to all your drivers, and if you see him phone 101 immediately. The incident number is 728 of today," they added.